It was with the Z31 generation of Nissan's Z-car that the gloves finally came off in the great Japanese sports car wars. 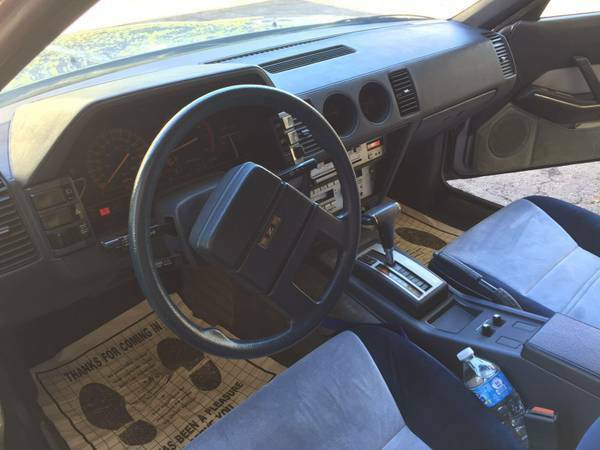 The previous generation featured a turbocharged model that was released in 1981, but a compact V6 fed via a turbo wasn't introduced until the Z31 hit the showrooms in late 1983 as a 1984 model year...but that doesn't really mean much for this next feature, because it is the homely T-top equipped 2+2 version. 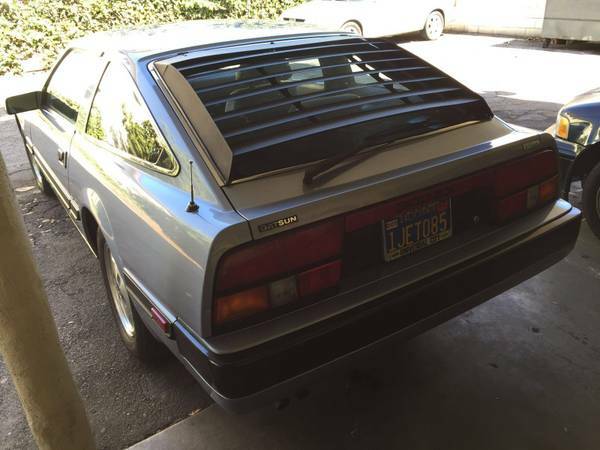 Find this 1984 Datsun 300ZX offered for $2,800 in Sherman Oaks, CA via craigslist. There is a remarkable similarity between 2+2 Zs from the 70s/80s and 2+2 Jaguar E-Type of the 60s -- both were built in a good looking sporty 2-seat version, but optionally available in a 2+2 version that featured a Quasimodo hunch back shape and gutless performance versions (slushbox for the E-Type, non-turbo for the Z). The VG30E is a 3.0 liter overhead cam V6 that puts out 160 horsepower when it isn't force fed with a non-intercooled turbocharger. When mated to the 4-speed automatic seen here, it will be a leisurely driver, but sometimes leisure is okay...right? So you might be wondering why we would post a slushbox, non-turbo, 4-lug Z31? 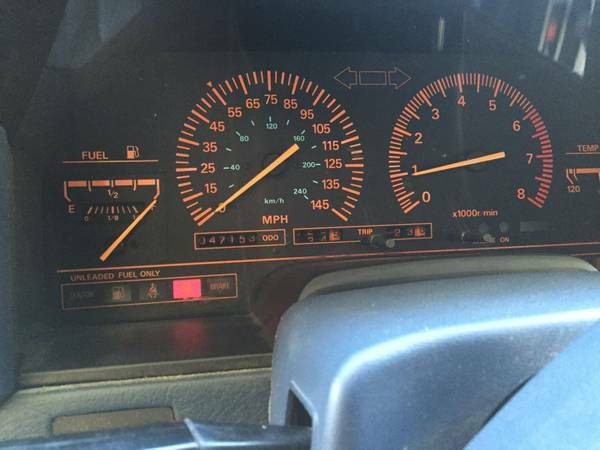 Legitimate question -- and the answer is simply because the mileage (47k miles) and condition (looks really nice) make it appear that the $2800 asking price is a bargain. Blue plate + louvers = 80's awesomeness. I know where there is a really nice 91 buick for sale, but I dont want either one. The 2+2 roofline change doesn't seem to look nearly as awkward on a Z31 as it does on the earlier Z cars. 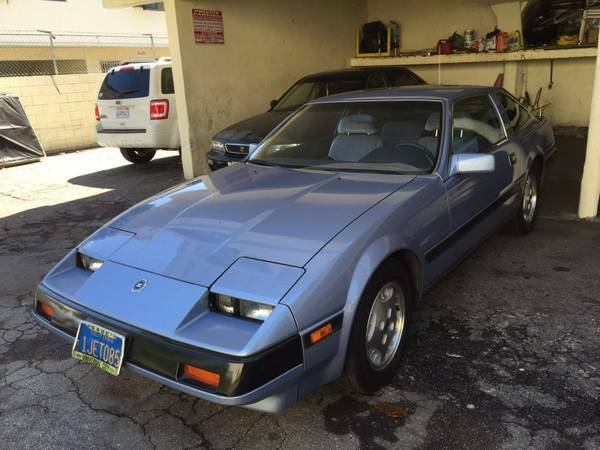 As much as I don't dig that generation of Z, this is a bargain at this price with 47k miles. It's a true timecapsule and perfect for anyone not prone to being in a hurry and who needs a vestigial back seat. Were this local to me I'd be very likely to get it, though I just shot my wad on a granny owned, garage kept 70k '99 Legacy wagon that conveys upon me exactly zero prestige in traffic.